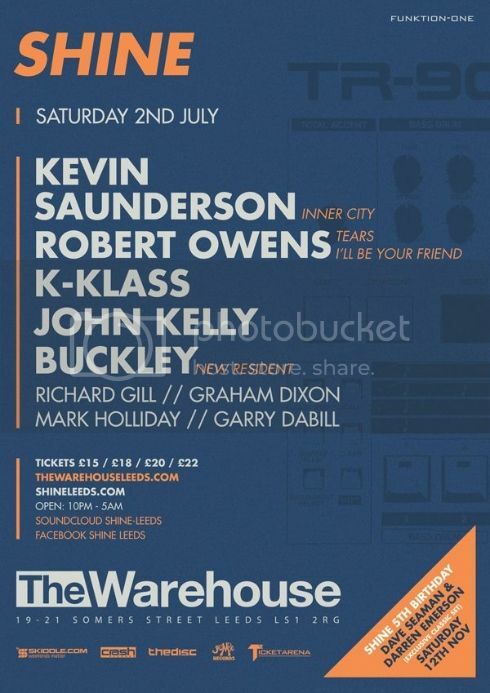 Shine is a clubbing brand based at the legendary Leeds venue, The Warehouse, a unique creation in 1979 by an American Michael Wiand, located near the city centre train station on Somers Street. Shine's usual party goers have an acquired taste for underground classics from an era evolved out of the birth of acid house, conceived by the middle to late Eighties US house sound of New York garage, Chicago house and Detroit techno. This particular sound influenced the UK acid house scene, as it was known back then, where a rave revolution was born accompanied with underground clubs, brilliant weather and lots of shine playing host to the organised outdoor illegal raves, where week in week out, twenty to thirty thousand capacity strong crowds would turn up throughout the Summer of Love years, in 1988 and '89, paving the way to what became history we look back on today. 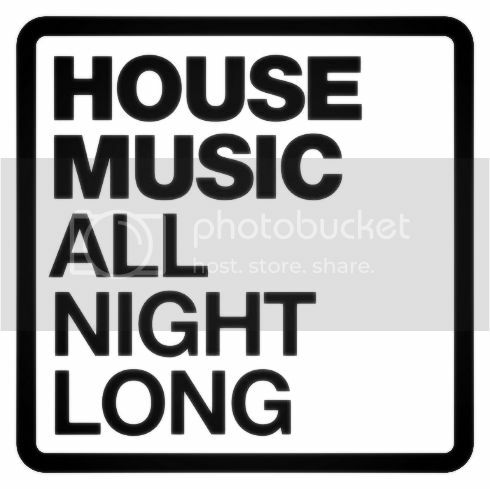 On a classics night presented by Shine, you can expect a healthy line up of early house DJ's, billed with profile performing acts and brands accommodating the cool and friendly crowd, with vocal house tunes pumping through a quality sounding Funktion One Dance Stack system. Match that with a top of the range set of lasers, lighting, strobes and smoke jets alongside colourful images, cleverly arranged onto visual backdrop projector screens. Once a forthcoming show has been announced find out about ticket offers via the 'News' page or Web Event on the 'Click For Tickets' tab. It's a generous response giving something back to those who've lent support, achieving Shine it's current top ranking status within the Leeds club scene and throughout the North. In 2013 alone they've experienced nothing other than a complete run of consecutive sold out shows, including 1200 turning out during the Summer for 'Shine presents FAC51 The Hacienda' then maximum capacity was reached again, on the 2014 'Easter Special' with Radio 1 legend, Danny Rampling. Learn of how Shine came about it's brand name and how they suddenly emerged from a one off event into the successful clubbing brand it is today by visiting the 'Est. 2011' page, featuring a link for recent Highlights or flyers and posters from events since Shine's 2011 launch. 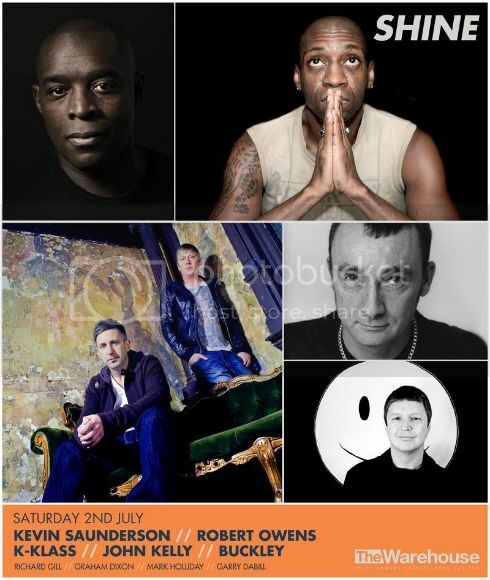 Also jump onto pre hype excitement, updates and announcements by joining the 'Facebook Event' normally found with other related pages such as the ticket outlets including 'Skiddle.com', down the left hand side of this website, under 'The Warehouse' venue tab. The Shine Team are very friendly and always approachable on Facebook and Twitter! So don't hesitate, come along, say hello and feel free to ask founder Michael Reilly anything you like. Attainable on the 'Contact' page. "Shine look forward to hearing from you!"